gotta post something since the mouse is NaBloPoMo-ing this month. today's post of my neighbor's dog sophie, was inspired the wonderful photos of another sophie on maggie's secret garden. 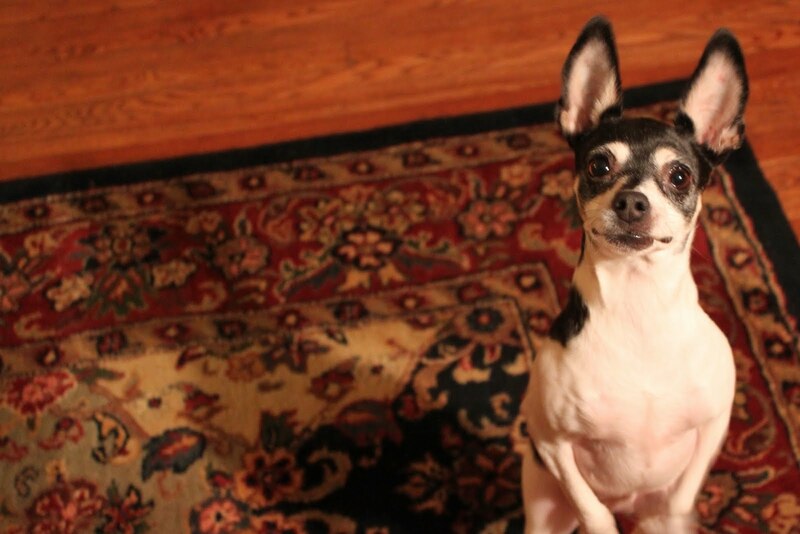 both sophies are rat terrier mixes; we joke that our sophie here on avenue c must have a bit of bat in the mix. aren't her ears the best!! we'll be listening to some great live music tonight as the flatlanders are in the area on their midwest* tour!! yeah!!!! doobie brothers listen to the music - listening to this song leads to some serious time trippin'! I imagine I might have seen their midnight special performance when it first aired in 1973! *midwest/mideast - your pick. as for me, I have been influenced on breaking up north america into regions corresponding with joel garreau's book the nine nations of north america. even though I read the book way back in the mid 1980s, garreau's classification system still strikes a chord within me. Marvelous ears! Mine are so floppy! I'm jealous! Oh...Sophie is adorable!...she has such a sweet face. There's something in her eyes that says she's special. Great photo! I see she likes to stand up on her hind legs like my Sophie....although as of late her gut is sort of getting in the way of that. Ha! I'm going to have to see if I can get this book at our library...sounds like something I'd like reading. I couldn't imagine my life without music...or the pooches! Doobies are rockin' it! BTW I checked out the linked site...and laughed at the 9 states within Illinois. I live in The Regional Government Authority (Most of Cook and the Collar Counties), and laughed at the name. This is very interesting.